OK, I’m a Web Designer so you would be right in thinking that I believe that every business needs a website. Duh! To be honest, I am actually amazed when people I meet ask me if they need a website at all. I guess I just figure that everyone accepts that they do – but that’s clearly not the case. 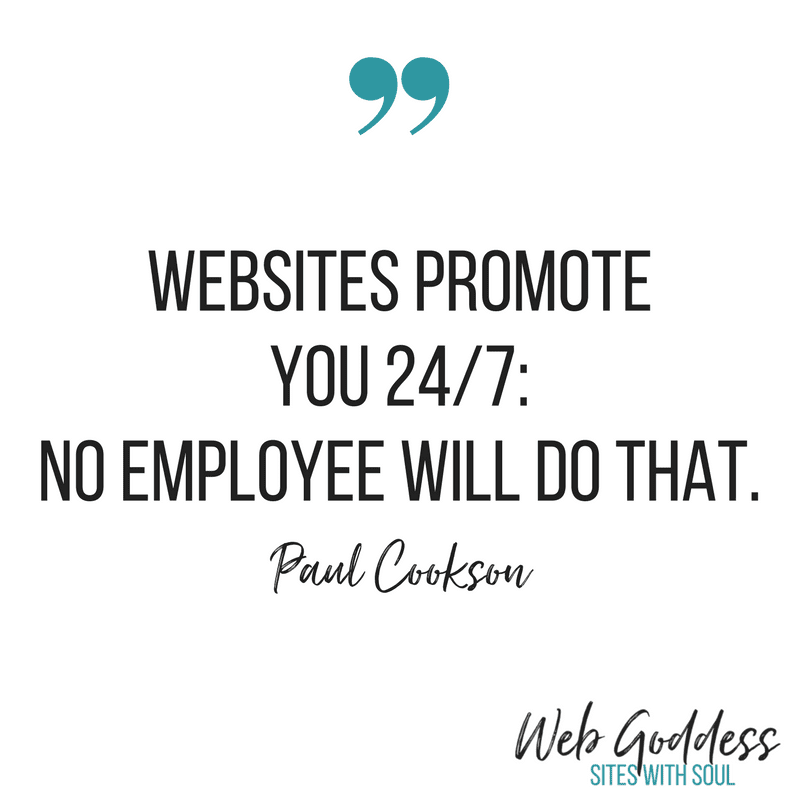 I believe that every business needs a website because I know that without one your business is missing a key marketing component that can’t always be measured by SEO or sales conversions. And if you’ve already got one and don’t think it’s working for you, then this post may help you realise just how much your website is doing for you too. Recently, one of my clients contacted me about updating their website. The M.H. Vehicle Services website has been live for 3 years (a bit of a shock to all of us) and since then I’ve only made one update. It was a simple build to replace a website that wasn’t really doing anything for them and they are a successful family-run garage business that you wouldn’t actually think needs any further advertisement. The website they have doesn’t cost a lot to maintain (under £100 per year) and I was called in to update their address and add a couple of pages to the site to reflect a physical move to new premises and add some new services. Standard stuff. And while I was there Matt (head mechanic and owner) confirmed that clients told him they look at the website and compare the photo of their garage with the building when they arrive to know they have found the right place. His wife Gill, administrator extraordinaire, admitted that people also say they look at the website before they call. Even without massive updates, this site provides potential clients with proof that the business exists and that they provide services that these customers are looking for. Let’s put it this way, if I can’t find a website for a company I’m looking to work with, or to do work for me, then I usually don’t bother going any further. The website doesn’t even need to be fantastic. It just needs to tell me that the business is what it says it is. I go for honesty and the more detail the better. Links to social media are good too as it shows they are interested in communicating in real-time. It really frustrates me when I know a business can’t be bothered to have even a basic site. People surf the web at all hours. You never know when you customers are going to be online. What about shift-workers or insomniacs? Getting your message out 24/7 is one of the most powerful tools your business has if you use it correctly. Social media is great but if a platform goes bust or changes their algorithm so no-one sees your stuff anymore then you can’t do anything about it. Your website is YOURS. You own it. You make the decisions you want to make about what it includes. Your website is your hub for all online interaction so it doesn’t matter what the next big platform is – you’ll have content to share to it. The best part about having your own website? You get to share the stuff that’s most important to you. Swear if you want to, use bright colours, share your personality. All of this gives your clients an insight into who you are and helps you weed out those who don’t. You may think that this cuts off your supply of potential clients but it is actually the opposite. If you create a website that you are proud of and it turns someone off then that’s great. You don’t need to waste time on people who don’t fit with you. Better to find out upfront than to be 3 months into a business relationship and find out that you really don’t jell. There are plenty of businesses out there that still don’t have a website – and those that do but haven’t updated it for donkeys years. They don’t think it’s important or they are still living in the age of the Yellow Pages. Move with the times and get ahead of others in your industry. Create a website that people want to visit. 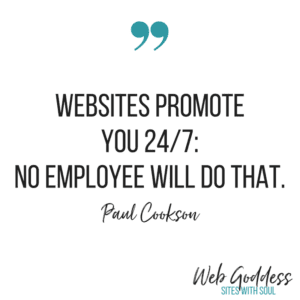 If two businesses are up for a job and one doesn’t have a site or their site isn’t great then they are more likely to be dismissed without even knowing it. Your website gives you an edge that you may never really fully measure. So, are you convinced yet? If you don’t have a website yet then please look at getting one with urgency if you want your business to succeed. And give me a yell if you would like some obligation free advice on the best way forward for you.